The best way to learn about the region is to Follow Us on Facebook, Pinterest or other media sources. You can also find hiking trails, waterfalls and maps here. But to get you started, here’s a little information about what has become known as, The Highlands/Cashiers Plateau. 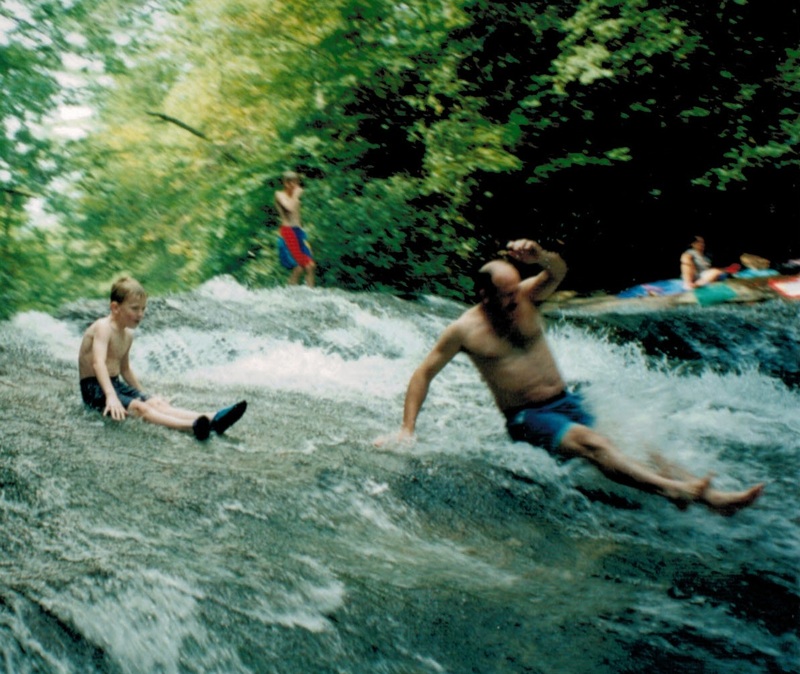 Highlands, Cashiers, Glenville and the mountains of North Carolina have much to offer. Not only has this area been rated “20 Best Places for Second Home (source-Barron Magazine)”, but it has much to offer anyone who enjoys outdoor living, quiet enjoyment, and the amenities of larger towns, not so far away. For example, Atlanta, GA (2 hrs. ), Asheville, NC (1.5 hrs), and Greenville, SC (1.5 hours) offer the “big city” night life or take care of business, then you can return to the mountains to have a relaxing weekend with family and friends. What do these areas have to offer? Old Edwards Inn is a world class resort and spa. You can be pampered and still enjoy what the town of Highlands has to offer. Highlands is a small town which reminds this writer of the town of Breckinridge, Co. Although not as large as Breckinridge, Highlands has plenty of upscale shopping, fine dining, atmosphere, and the friendly, pleasant people that only a small town can offer. Cashiers, NC is often referred to as “The Village of Cashiers”. Right in the middle of the “Crossroads” is The Village Green. All summer long there are great activities to be found. One of my favorites is “Groovin’ on the Green”. Sponsored by local merchants, “Groovin’ on the Green” is held on Friday evenings. Fantastic musicians play all forms of music. It may be Jazz this week, Zydeco next week, a String Quartet the following week, or classic rock. Bring a lounge chair, your favorite bottle of wine, and come enjoy the evening with some of your old friends, or make new ones. This is not a rock fest free for all. This is music with class. Glenville is located on Lake Glenville, just off the highway out of Cashiers. Lake Glenville was formed in 1941. At 3494 feet elevation and over 1400 acres, it is the highest lake of its size east of the Mississippi River. Property around the lake may be difficult to find since many have sought out this lake for all it has to offer. Also, because the towns of Highlands, Cashiers, and Glenville are small the lake is enjoyed more by locals and those that have homes on the lake. Although it does have public access, not many know of the area nor are they willing to pull their boats up the mountain to get to the lake. That’s OK. We enjoy the space. However, there are docks available for sale or lease on Lake Glenville as well as boat rentals. Highlands, Cashiers, and Glenville are often thought of as a community, as a whole. Often referred to as the Highlands/Cashiers Plateau, these communities are within just a few miles of one another, yet each has its own uniqueness. Events are shared and often rotated between locations. Special events are coordinated to enhance one another. A real community atmosphere can be found here. What else is there to do? We’ve already mentioned the fine dining and upscale shopping. There are also several country clubs and great golf communities. Bring your best game. Although some of these courses have been designed and played by many greats with names like Arnold Palmer and Bobby Jones, they offer challenges that aren’t found in the flat country. And if all this is not enough, how about being surrounded by National Forest Land. This is what helps to isolate these towns and preserve their beauty. Gorgeous vistas, hikes for both the novice and the experienced, waterfalls galore, water sports on the lake, rock and cliff climbing, horse trails, kayaking for beginners to advance and this list can go on and on. Just how much do you expect to accomplish in your lifetime? This area will keep you busy. Sorry, no Wally Worlds or fast food joints on every corner. This is the real life! What is the weather like in Highlands and Cashiers? This is where it gets interesting. Most of the property in this region is over 3400’ above sea level. As a result, temperatures in the summers are typically in the 70’s! Winters are not bad either. Many people worry about snow because of being in the mountains. Honestly, we don’t get that much snowfall. Three to four snow falls with amounts ranging from 2-6 inches can be expected, but some years all we ever get is a “dusting”. With temperatures usually warming above freezing during the day, these snows usually only last a few days at best. Our state road crews do an EXCELLENT job in opening up the main roads. Most communities have private contractors that scrape their roads. Most everything is open within a day. Really, we hope it does snow to get a day off. What a relaxing way to spend time with the family! Still, from time to time, we may get a much larger snow, but these are not that common. As for rain, we do get more than most locations in the US, with the exception of Washington State, but this usually comes in the form of an afternoon shower. However, plants abound and the mountains stay a beautiful green all summer long. What about finding property? As was mentioned earlier and because of being surrounded by the Forest Service, land can be at a premium. Especially is this the case if you’re wanting lakefront property or land with a view. However, there is still land out there for everyone. You just need a real estate agent that is familiar with the area and can show yo u around. Currently homes can range from $80,000 to well into the millions. The median price is typically near the $300,00 range. Land can range from $1,000/acre to over $300,000 per acre. This depends on if it’s in a club, view, access, etc. We actually have homes that are built on waterfalls, land that has huge waterfalls on it, fantastic views, horse land, you name it. There is also plenty of opportunity for developers. Some properties already have water and underground power in the infrastructure. Then there are other properties that owners no longer desire. You can sometimes find mountain land at $3000/acre or less. Here again is where you need a local real estate agent to assist you in finding such deals. Want to know more? I have lived in this area since 1974. Although I had moved away for a year in 1980, I was eager to return. I still travel and love to visit other areas, but these mountains have a way of calling you back home. Just ask anyone. I will be happy to answer anyone’s questions about living in the mountains of NC. I can also help you to see why this area of the mountains is the best! Even if you just want to know what activities are available or how to find something, just contact me. I love these mountains and want to share them with you. 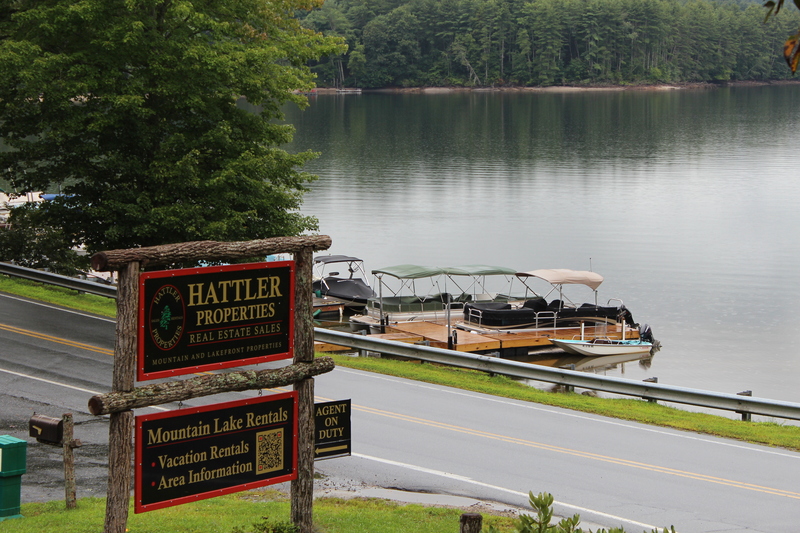 Also, our office, Hattler Properties on Lake Glenville has a team members that have been coming to this area since 1965. Few, if any offices, have more of the local “flavor” that they can offer. We are the only firm with an office on Lake Glenville.